Literacy - Persuasive speech to Lord Carnarvon and a persuasive letter to Mrs Hardisty. Maths - Multiplication and division, money, fractions and decimals. Science - Forces and magnets, and animals including humans. Creative Curriculum - Ancient Egypt (pyramids, canopic jars). Dance, tag rugby, ball skills and REAL PE. Year 4 had lots to say when the Digital Leaders called for a catch up! We have been learning all about Howard Carter and Lord Carnarvon in project and literacy. In maths we have been learning all about money and in computing we have been learning about e-safety an what details you shouldn't put online. What has been the best thing you have done since you came back? Learning about money has been our favourite thing because it is real. What have you been doing in your Creative Curriculum lessons? In creative curriculum we have been learning all about Ancient Egypt and we even had a look in our own pyramid! What have you been learning in literacy and maths? We have all been busy persuading Lord Carnarvon to keep funding Howard Carter's expedition. In maths we have been looking closely at problems involving money. Is there anything else you'd like to tell us about school? In science, we have been discovering magnets and friction, while in computing we have been learning about e-safety and how to see if a website is fake or not. Such a great amount going on Year 4! Year 4 exploded with all the things they had to share, when the Digital Leaders came calling! Rounding and recorders were mentioned along with the work they have been doing on their sensory garden as part of the whole school project. 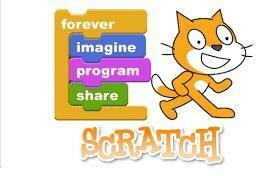 Furthermore, they have been busy programming away and creating a game, in computing lessons, on Scratch. For their sensory gardens they Year 4 hope to make hammocks, remembrance messages, poppy pillows, flowers, graffiti art or bird feeders. As part of the Mental Health project, Year 4 have been creating feelings poems and making their own feelings dictionaries, to better help them understand the language around emotions. Newly learnt concepts and skills included never before seen vocabulary and negative numbers (or as the Year 4s called it 'numbers below 0'). There have been so many highlights from their art work to their projects, but when pushed to name a top three, the Year 4s said the highlights were being able to sit by friends, passing their times tables tests and when some of them became Play Leaders. Well done on all your hard learning Year 4, and well done to the Digital Leader team on their first upload to the school website.